Our landscaping waste bins can save you time and hassle during your next construction or landscaping project in Wasaga Beach. 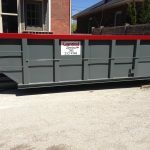 If you are looking for a convenient way to move around or get rid of your landscaping waste, our landscaping waste bins can help. Just about any construction project creates landscaping waste from the area where the new structure is being constructed. Large outdoor landscaping projects also create waste that must be removed from the site to achieve the desired effect. Whatever your reason for needing landscaping waste bins, give us a call here at Guaranteed Services. We have been providing waste removal services to the area around Wasaga Beach, Ontario for two decades. Large excavations: Got too much dirt on your hands or need a large amount of dirt moved from one site to another? We can help. Home renovation projects: Adding on to your home is an exciting time, but it is bound to create extra waste that we can haul off with no hassle. Landscaping: Making improvements to the exterior can have a big impact on your home or business’ appearance. New Construction: Building a new structure is bound to create landscaping waste as you clear the site for the build and plant trees, bushes and shrubs. When you call us for your landscaping waste bins, you can expect superior customer service. We will help you select the bins that are right for your specific purpose and space. We can even deliver and pick-up same day, or you can rent our bins for longer if needed. Give us a call, and we’ll find the right bin for you. 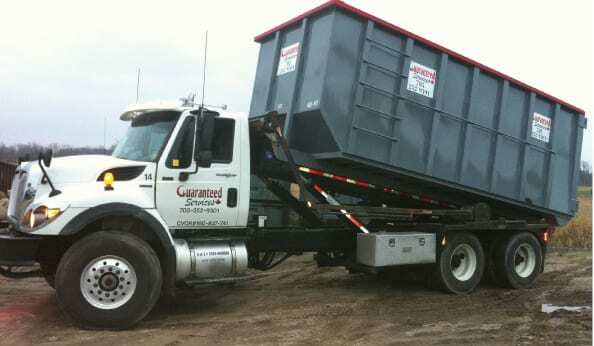 At Guaranteed Services, we offer rentals of landscaping waste bins in Barrie, Innisfil, Collingwood, Orillia, Wasaga Beach, Angus, Stayner, and Midhurst, Ontario.